Killing Floor 2 update 1.28 for PS4 is now available for players. According to the official Killing Floor 2 1.28 patch notes, the new update comes with new features, events and a long list of bug fixes. 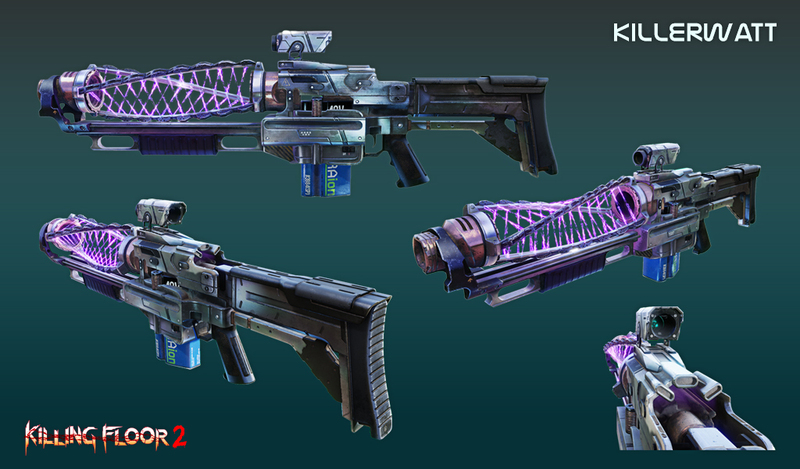 In addition, Killing Floor 2 version 1.28 also includes performance and stability improvements. Previously, a big update was released with various balancing, adjustments, and other changes. Unfortunately, since this update, many players were experiencing a number of issues when trying to play the game. Today’s Killing Floor 2 1.28 is expected to fix all these issues. Check out more details below. 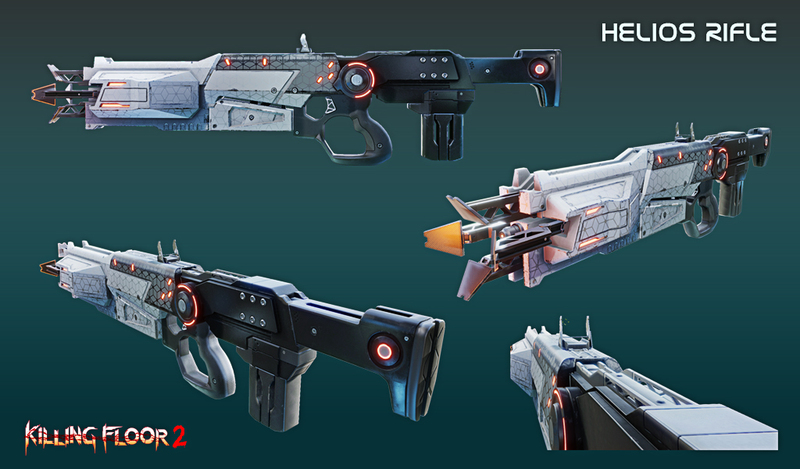 Horzine’s development labs decked out the mercenaries with the latest Cyberpunk themed weaponry and gear! Slay Zeds and spread bloodshed while looking stylishly futuristic. Fend Zeds off at our new dam facility known as Spillway, and try out Horzine’s two new weapons, the Helios Rifle and the Killerwatt. See you on the killing floor! Clear a dam facility overrun by those dam Zeds! Added functionality to shut off Zed enrage when that Zed triggers a panic state from toxic, emp, fire, or microwave. Zeds revert back to being enraged after the duration of the panic is over. Added an option Toggle to Sprint to the GAMEPLAY settings. Fixed an issue where Zeds could spawn directly within player line of sight. New main menu music titled “Cyberpunk” by Rocky Gray. Helios Rifle damage vulnerability decreased from 90% to 70%. The damage radius of the toxic gas reduced by 25%. Toxic panic removed from the toxic gas. The damage radius of toxic gas reduced by 30%. Trapper beam damage now spreads between Armor and Health. Fire panic resistance has increased from 20% to 55%. Microwave panic resistance has increased from 30% to 45%. Helios Rifle damage vulnerability decreased from 100% to 80%. Fire panic resistance has increased from 20% to 60%. Microwave panic resistance has increased from 0% to 50%. Fire panic resistance has increased from 30% to 60%. Fire panic rate of bullets has increased by 94%. Fire panic rate of fire damage over time has been reduced by 23%. Fire panic rate of damage over time has been reduced by 46%. Fire panic rate for bullets has been reduced by 20%. Fire panic rate for explosions has increased by 100%. Fire panic rate now increases per charge. Removed self-inflicted fire damage over time. Damage should now be calculated from point of impact rather than the Zed’s pivot center located at their feet. Self-inflicted explosion damage has increased from 5% to 10%. Damage per bullet has increased from 17 to 20. Recoil has been reduced by 32%. Full dart recharge rate has been reduced from 15 seconds to 13 seconds. 1st weapon upgrade damage has increased from 23 to 24. 1st weapon upgrade full dart recharge rate modifier has increased from 0.8x to 0.88x. This mean that the full dart recharge rate was reduced from 12 seconds to 11.05 seconds. 2nd weapon upgrade damage has increased from 27 to 28. 2nd weapon upgrade full dart recharge rate modifier has increased from 0.7x to 0.77x. This mean that the full dart recharge rate was reduced from 10.5 seconds to 10.01 seconds. 3rd weapon upgrade damage has increased from 31 to 32. Ammo price per magazine increased from 20 to 21. Complete autofill price has increased from 260 to 273. Heal amount per dart has increased from 15 to 20. Damage per pellet increased from 20 to 25. The overall damage has increased from 120 to 150 per shot. Spare ammo capacity has increased from 80 to 90. Updated text description to reflect the change. Healing potency has increased from 20% to 30%. The cooldown reduction to syringe and healing darts has increased from 25% to 50%. Melee attack speed has increased from 15% to 20%. Damage has increased from 10% to 50%. Damage radius of explosion has increased from 25% to 40%. Chance of explosion has increased from 20% to 30%. Damage of explosion has increased from 10 to 50. Damage radius of explosion has increased by 25%. Fixed an issue where Zeds could use spawners in a player’s line of sight. Fixed an issue where you couldn’t pick up Crossbow bolts or Eviscerator sawblades if your spare ammo was full. Fixed a crash that occurred when trying to start or join a game session. Fixed an issue where players crashed while playing as a Zed in VS Survival. Fixed an issue where players failed to map travel after long amounts of continuous play. Fixed an issue where players can be damaged during trader time. You will continue to take damage from damage over time if you had it before Trader Time occurred. You should not die during Trader Time. Fixed an auto-hotkey exploit that allowed players to dramatically increase melee attack speed. Fixed an issue where objective weld targets that needed to be repaired didn’t appear broken immediately upon the start of the wave. Fixed an issue where weapons with penetration didn’t have fall-off during online play. Fixed an issue where the 3rd person spectating camera moves rapidly when toggle sprint is enabled. Fixed an issue where fast moving Zeds did not transition to their panic animations when panicked. Fixed an issue where players could be damaged while out of range of poison clouds from Abomination Spawns and Elite Crawlers. Fixed an issue where E.D.A.R. Trapper beams dealt damage to a SWAT’s health regardless of if they had Armor and the Heavy Armor Training Perk equipped. Fixed an issue where Santa’s intro monologue could be heard in the Weekly map lobby. Fixed an issue where players spawned in the middle of the map while playing in the Survival game mode. Fixed an issue where the fountain could rapidly switch levels of detail. Fixed an issue where dosh necklace collectibles could float if the object they were on was knocked over. Fixed an issue where repair icons on Airship changed to check marks when a player died. Fixed an issue where players could use the Double-barrel Boomstick and a Fleshpound to fall out of bounds in Monster Ball. Fixed a wall on Biotics lab that pops in and out of view at a certain distance. Fixed an issue where debug text appears while playing on Spillway. Fixed an issue where the fire panic rate did not increase per charge. Fixed an issue where the explosion dealt damage depending on the pivot of a Zed instead of the point of impact. Fixed an issue where the Pulverizer’s alt-fire visual effects didn’t play online. Fixed an issue where the M32 Grenade Launcher was not affected by the Survivalist’s Heavy Weapons Training Perk skill. Fixed an issue where the M16 M203 Assault Rifle and HMTech-501 Grenade Rifle force a grenade reload after firing a grenade, then firing rounds from the primary. It should now stop trying to reload the grenade after using the primary fire. Fixed an issue where skins appeared darker in third person than first person. Fixed an issue where the AA-12 Shotgun weapon skin was missing when dropped. Fixed an issue where the AA-12 Shotgun weapon skin glowed green in third person. Fixed an issue where the Microwave Gun weapon skin was red in third person. Fixed an issue where the HMTech-401 Assault Rifle weapon skin was missing textures when in first person or dropped. Fixed an issue where items were missing from the Krampus Treat Ticket item pool. Fixed an issue where the Large Ear Piece cosmetic didn’t fit properly. Fixed an issue where the Cyclops Eye cosmetic was positioned incorrectly. Fixed an issue where the Diagonal Backpack was oversized on DJ Scully. Fixed an issue where HX25 Vertebrae | Mint was missing from the Predator USB no duplicates list. Fixed an issue where equipping the Precious Loco Mask equipped the red variant instead. Fixed an issue where Cyber Samurai & Neon MKIV Master Crafted Items recycled for 1 exceptional material instead of 5. Fixed an issue where the Flamethrower RGB Skin stopped changing colors. Fixed an issue where the playable Badass Santa’s dialog had no audio fall-off. Fixed an issue where the Containment Station map did not have ambient audio online. Fixed an issue where the Prison map had no ambient audio online. Fixed an issue where the M32 Grenade Launcher did not have sound fall off. Fixed an issue where the Scrakes were using Halloween VO. Fixed an issue where the E.D.A.R.S. were using Halloween VO. Fixed an issue where the Coffin cosmetic appeared in Jaegerhorn’s list twice. Fixed an issue where Lt. Bill Masterson was missing the Horns and Witch Hat cosmetic pieces. Fixed an issue where the Cauldron Backpack cosmetic is missing for Mr.Foster and Badass Santa. Fixed an issue where the Arm Screen cosmetic did not show for Mrs. Foster. Fixed an issue where the Halloween 2018 Face Paint | Mr. Foster cosmetic is missing a description in the Inventory tab. Fixed an issue where the Use button is still usable when a player has insufficient crafting material. Fixed an issue where Tier 4 Vault Vosh Precious weapon skin icons had a darker than normal background. Fixed an issue where Tier 4 Vault Vosh Precious weapon skins were unable to be unequipped. Fixed an issue where the health bar for the sleigh disappeared if the player emoted. Fixed an issue where the health bar for the sleigh is affected by the Hide Boss Health Bar GAMEPLAY option. Fixed an issue where clicking on the NEWS button from the main menu didn’t load a web page. Fixed an issue where the Horzine Supply Cosmetic Crate Series #8 display image had a darker gray background. Fixed an issue where the Rarity filter did not work when the All filter is applied. Fix an issue where the description of the fire modes for the MP5RAS SMG was incorrect. Fixed an issue where the Kill Boss daily objective had no description. Fixed an issue where the highlighted item in the Trader menu didn’t change while scrolling through. Fixed an issue where scrolling through lists in the game menus causes differences between the preview and the selection. Fixed an issue where “_info” was appearing as a Game Mode option when returning to the main menu from a game session. Fixed an issue where players could not update their Endless settings on the Play Solo Offline menu. Fixed an issue where “FOV” and “Disable Remote Headshot Effects” did not reset when player defaulted their options. Fixed an issue where the The Perfect Gift objective description continually resizes online. Added fixes for some crashing issues with Killing Floor 2 1.29. 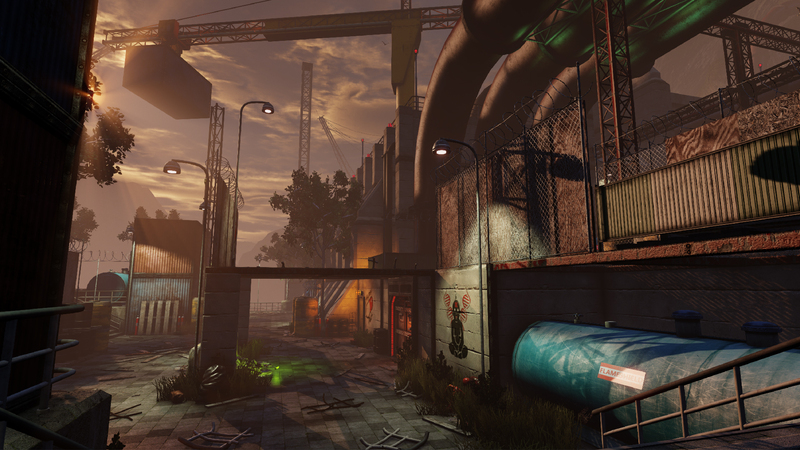 Killing Floor 2 update 1.29 added stability and performance improvements. Added other minor under the hood improvements with Killing Floor 2 1.29. Killing Floor 2 update 1.29 for PS4 is now available for download.